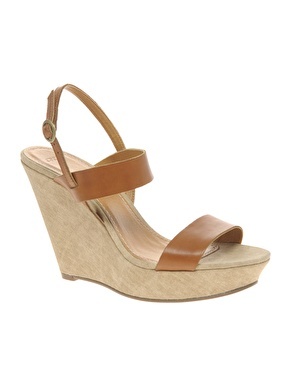 You can go completely crazy (like those KG ones above) to a slightly more sedate look such as the ones above. Either way, the whole point is that you can wear them all the time - you don't wobble around in them like you do in normal heels. Make sure that you don't buy ones with fake leather straps as they rub more - hence why I haven't put many high street options. A friend has the Zara ones, and she accessorized/DIY'ed them with a flower at the front from an old broach which looked really cool too. 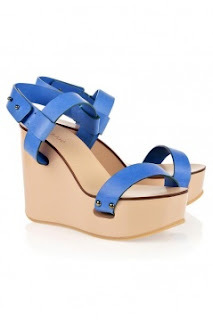 Oh - I'm loving wedges at the moment - and what great picks you have chosen - my favs are the blue Chloe ones!